Thank you for your request! We shall get in touch with you within 24 hours! Visited Floating markets in Bangkok and tired of seeing the crowd around you? 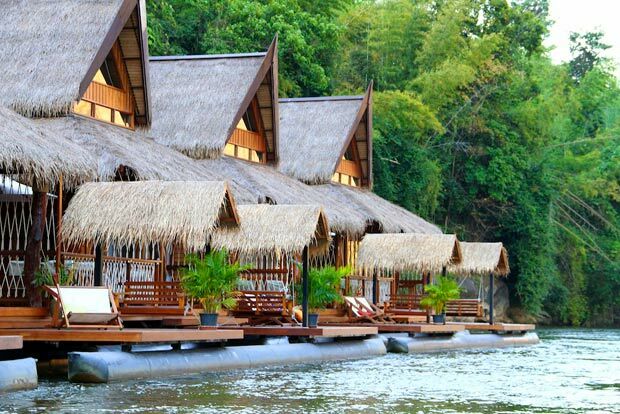 Set on a picturesque stretch of the River Kwai, just 70 kms from Bangkok, near Kanchanaburi, in the secluded mountain villages, is where you can actually witness a luxurious Floating resort, FloatHouse River Kwai. 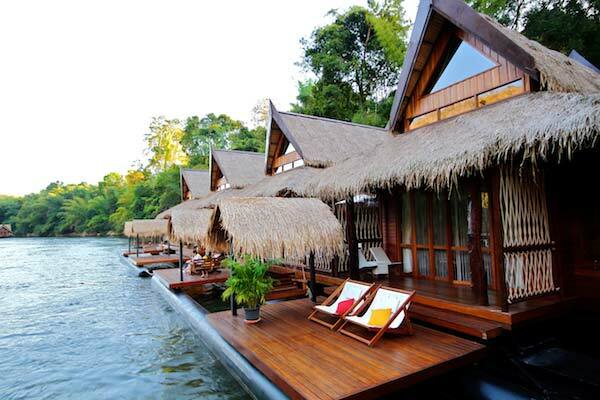 The boutique floating resort boasts of 18 unique floating villas with dense forests flanked on all sides. Each villa opens up to a private wooden sundeck with the river snaking beneath your deck. Tasteful decoration in Thai folk style design with teakwood furniture enhances the in-villa experience. The resort’s floating Pontoon Restaurant serves mouthwatering Thai and international cuisine in a spectacular setting. Though you can sit all day and just read a book by the flowing river, there is a lot more than that to do here! You can pick up a Canoe and go around Canoeing yourself. However, if you wish to just laze around while someone else rides you over the river, Bamboo rafting is the option for you. For the more adventurous ones, you can trek through the Lawa Cave to explore the various beautiful cave formations or go mountain biking through the peaceful mountain villages. With good accessibility to a well connected international airport makes this place perfect place to unplug from your daily hustle bustle. Looking for something more luxurious than this? Check out River Kwai Resotel (http://www.riverkwairesotel.net/). 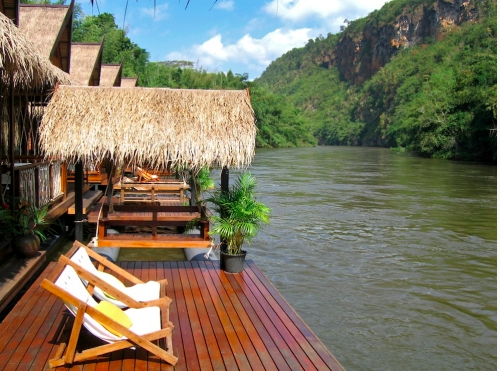 On the other hand, looking for something more economical but would like to have the floathouse experience, try the River Kwai Jungle Rafts (http://www.riverkwaijunglerafts.com/). A similar experience, with water on both sides of the villa. *Based on 02 pax travelling. Rates are valid for September 2015 travel. Peak surcharge may be applicable depending on the date of travel. Terms and conditions apply.